Thank you to Anne from Alberta (aka annkelliott@Flickr) for sharing these photographs with BPotD (original 1 | original 2 | BPotD Flickr Group Pool). Much appreciated! 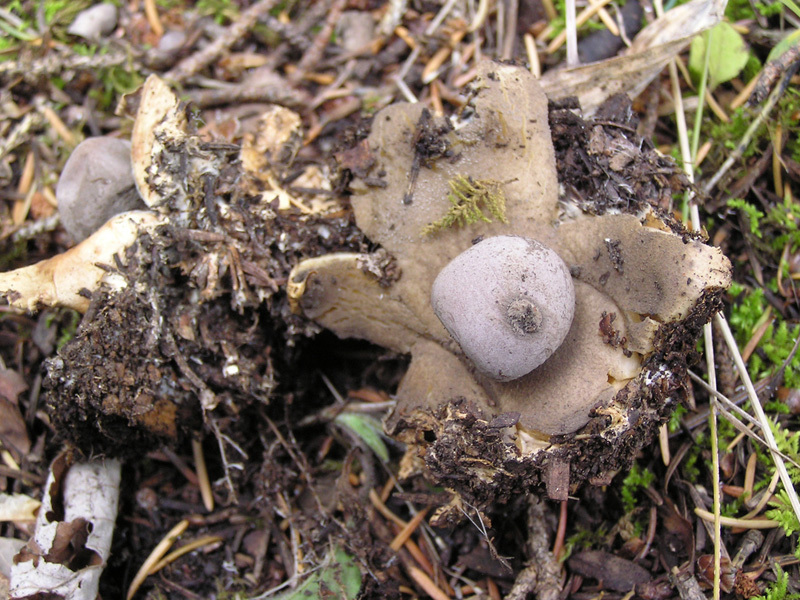 The genus Geastrum is one of 8 genera within the family Geastraceae (the earthstar family). Broadly (and unscientifically) speaking, these can be placed into the category of puffballs. Those seem to fungi, as Koala bears are to animals. Mushrooms are one of my favorite things to photographs. I really like the second photo - its almost as if it was standing. My daughter and I discovered these this summer, here in Central Texas. We have had a very wet summer, breaking all records for rain. We looked them up, and found them listed as shattered earthstars. They are truly wonderful--we got to see them in every stage of their development. It is a wonderful world, indeed, that holds such strange and beautiful creations! 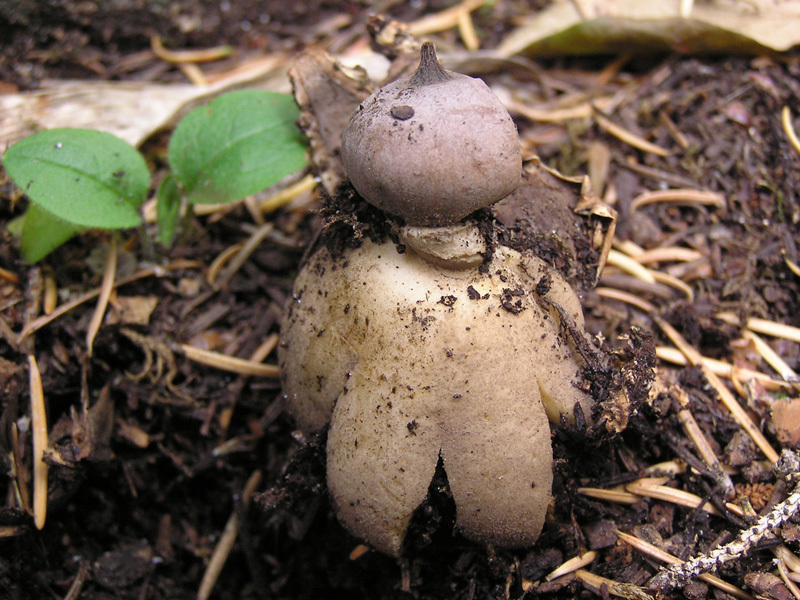 These are actually in a group called the "stalked puffballs"